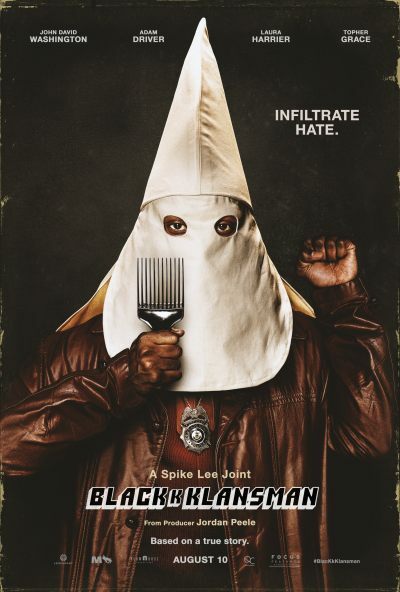 Blackkklansman | Movie | Birth.Movies.Death. Which 2019 Best Adapted Screenplay Nominee Is The Best Adaptation? Our yearly thought experiment runs into the usual hiccups of measuring faithfulness to source material. Adam Driver would like to remind you that it does NOT say RSVP on the Statue of Liberty. How Lee's latest enters a decades-long pop cinema dialogue that began with BIRTH OF A NATION. Before (or after) you view Spike Lee's latest masterwork, make sure to check out these equally explosive deep cover do-gooders. Spike Lee's buddy cop comedy is riotously funny, and may also cause a riot. Spike Lee's not playing around with this one. In which Spike Lee writes modern history with lightning. Spike Lee and Jordan Peele's buddy cop comedy looks flat out hysterical. Spike Lee and Jordan Peele's team up is allegedly bringing the pure buddy picture pulp.